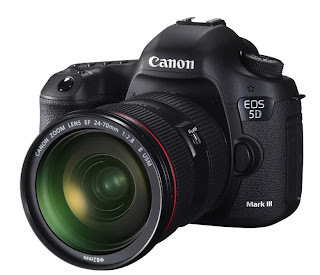 Supports the EF 40mm f/2.8 STM lens going to be released by the end of June, 2012. Supports the EF 300mm f/2.8L IS II and EF 400mm f/2.8L IS II lenses. Fixes a phenomenon in which the backlight of the LCS monitor may not turn off depending on the camera settings and timing. Fixes a phenomenon in which the camera's power may not turn on when a super telephoto lens is mounted to the camera with an extender. Fixes a phenomenon in which an image may become underexposed when using the Auto Light Optimizer for continuous Auto Exposure Bracketing shooting. Corrects mistakes in the Italian, Dutch, Norwegian, Polish, Swedish and Korean menu screens. Click Here to download the software from Canon USA. Just click on the Drivers and Software button, provide your computer's operating system and follow instructions. Canon has also introduced a Firmware update to the EOS 60D camera. The new version 1.1.1 has very minor fixes. Click here if you want to download that particular Firmware. Subscribe to my Blog to keep up with the latest news and development and visit my website MichaelDanielHo.com to see exciting Travel and Wildlife photos taken with many Canon equipment on my photo shoots. Canon EOS-1D X has arrived !